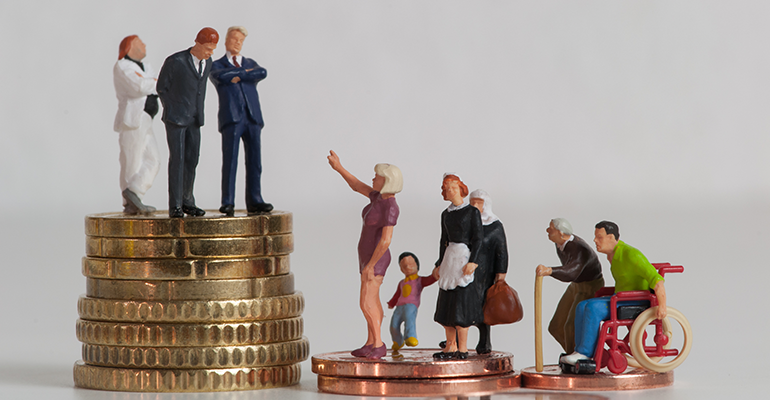 For social enterprises to seek a solution to combat gross inequality there has to be a greater understanding of the inequality, writes Alan Kay from the Social Audit Network. According to the OECD, the average income of the richest 10 per cent of the population is about nine times that of the poorest 10 per cent across the OECD, up from seven times 25 years ago. (OECD). There has always been income inequality but as the world becomes more and more interconnected, the divisions between those that “have” and those that “have-not” are increasingly widening. And this has a knock-on effect where the disparities in income translate into disparities in wealth – raising the question, who owns our world? According to the statistics and numerous learned papers we are living in a divided world. But we can divide the world in different ways. I used to work for international development organisations and we talked about whole countries being “un-developed” or “under-developed”. This approach, in my view, was flawed as it did not account for the social economic divisions that existed within these countries. We can also divide the world by socio-economic class, and with globalisation this is where the very real inequality resides. I worked for a number of years in Jakarta. The urban upper-middle class in Indonesia had more in common with the upper-middle class in London and New York than it had with those scraping a living in makeshift shanty towns along the sides of the Jakarta canals – and these slum areas were only a short walk from the affluent districts. It may be considered eccentric and old fashioned to talk about socio-economic class these days, but it is difficult to ignore in any sensible debate about inequality. But what is meant by “socio-economic”? These two terms, linked by a hyphen, are often applied liberally without paying attention to its actual meaning. Inequality is not only economic in terms of money, income and thus access to acquiring things; but it is also social, meaning access to opportunities, inclusion and integration in society, and all the benefits associated with where one is born and into what kind of family. The rather clumsy phrase, “socio-economic” can be extended into the social economy sector where social benefits are inextricably linked to the economic. To go back to my time working for aid organisations, we used to focus very much on the social and basically survival aspects of development. In refugee camps in Sudan and Somalia I worked on delivery of services to refugees who were struggling to keep their families alive and together. Fellow aid workers then recognised the importance of economic activity, often in a community-owned structure, to help people and communities become more resilient and less reliant on outsiders. It is interesting to muse over the fact that the main measurement of success for community business in the late 1980s was how many jobs they had created or sustained. In those days having a job enabled people to have economic and social stability. This is no longer the case as many who are statistically in poverty at the moment actually do have work of some kind. With community-owned business a core ingredient was collective and shared ownership inherited from the long-standing cooperative movement. Within the social economy sector at the moment, the issue of who actually owns a social enterprise has received a lot less attention – compared with the emphasis placed on the impact a social enterprise has on its external stakeholders. Reporting on impact is, of course, not a bad thing, but it does not mean that other things such as the type and level of collective ownership of a social enterprise should go unreported. The question being do external stakeholders and the “community” have any degree of ownership of the social or community enterprise; and how does this operate in practice? The type of ownership and wide involvement, in itself, can indicate a commitment to addressing inequality. Social Accounting and Audit (SAA) provides a framework that not only expects reports on impact, but also expects any organisation purporting to create socio-economic benefit, to report on its key organisational aspects which includes ownership, degree of stakeholder engagement and internal pay differentials. The Social Audit Network (SAN) is the leading proponent of SAA and their annual gathering to be held in Liverpool, UK on 17 October 2018 will focus on inequality. I often meet people working in “social enterprise” and they say they want to “change the world”, “make things better” and address social and economic inequalities. These sentiments are laudable and worthy of support but there has to be some practical ways they continue on that path and do not get diverted into just running yet another business. I believe SAA is an organisational framework that can keep social and community enterprises “on track” to do what they really intend to do. So finally, the late Nelson Mandela said “none of us can truly rest” when “gross inequality” persists. As ever, he was right. But for social enterprises to seek a solution to combat gross inequality there has to be a greater understanding of the inequality, and then a responsibility to regularly and systematically report on the progress made in addressing it. 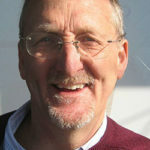 About the author: Alan Kay has more that 30 years of experience in community development and social enterprise support in the UK and overseas. His background is in overseas development and he has lived and worked in East Africa and South East Asia attached to a variety of different organisations including HelpAge International, Action Aid and VSO. Since returning to Scotland in 1988 he has mainly worked with community-owned enterprises and social enterprises. He is an associate lecturer at Glasgow Caledonian University and assisted them to establish a Diploma and MSc in social enterprise. He is also a director of CBS Network, is the treasurer for the Community Development Journal and is a member of the Institute for Economic Development. He has worked with social accounting and audit for many years and helped to found the Social Audit Network. He co-authored the 2005 Social Accounting and Audit Manuals and more recently wrote the New Guide to Social Accounting and audit.